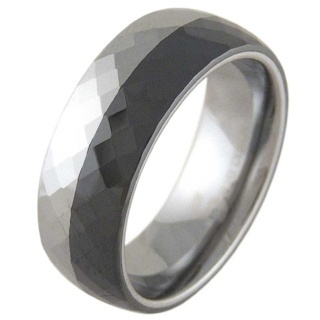 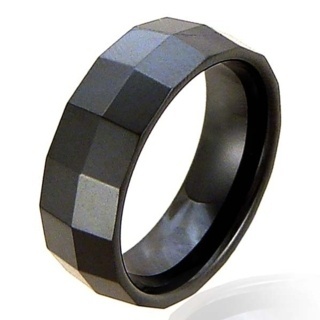 An incredibly strong and dense material tungsten can be combined with ceramic to make hard wearing jewellery. 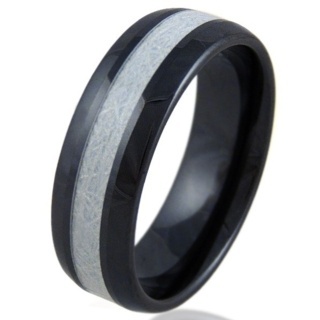 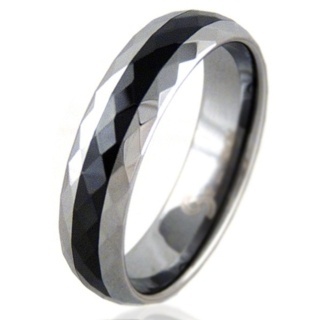 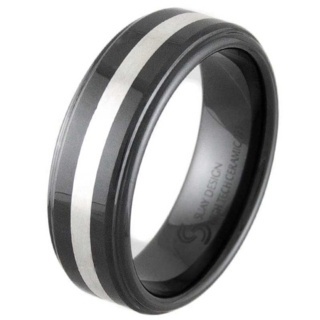 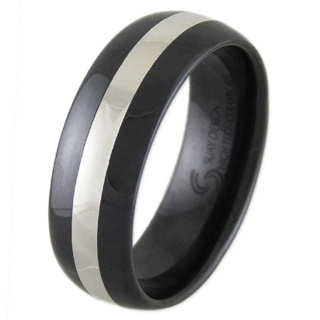 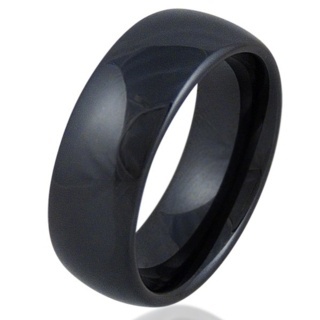 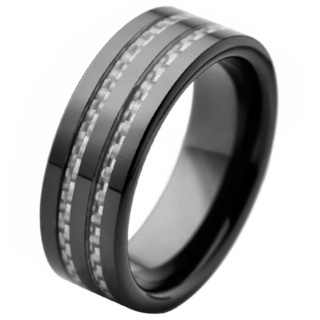 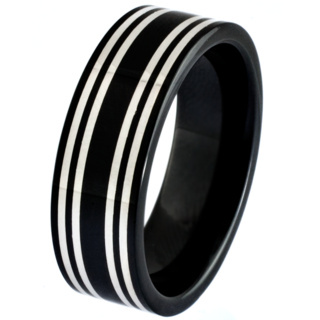 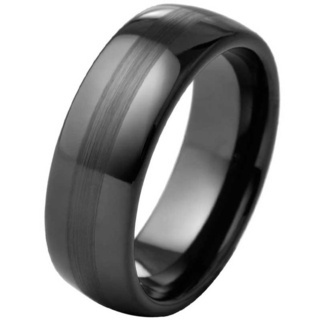 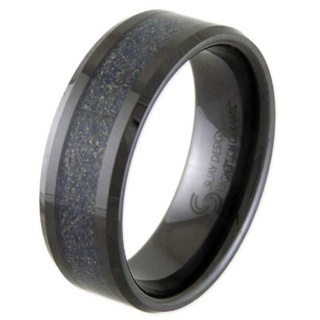 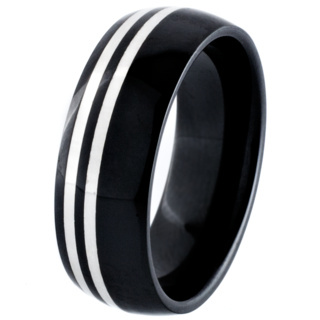 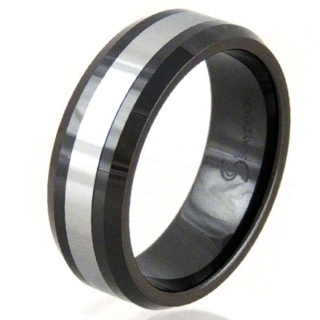 Becoming increasingly popular as wedding bands and civil partnership rings due to their durability and beauty. 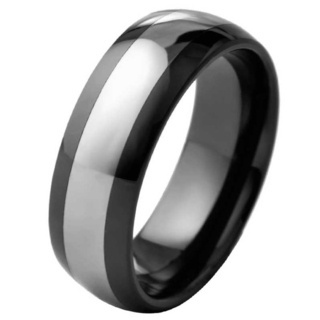 Tungsten Ceramic polishes to a mirror like finish and is highly resistant to scratches and abrasions. 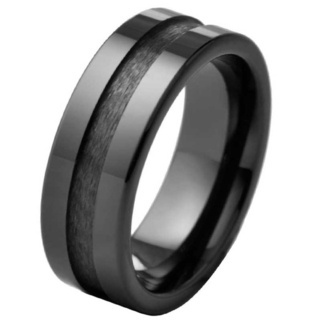 Whilst it is the material of choice for many who wish their rings to remain scratch free it is not indestructible as many believe, it is more brittle than many materials and metals and it can be crushed under severe stress. 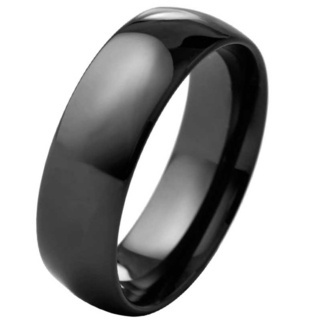 And if dropped onto a hard surface it can crack and even break.